For those of you who follow The Big Bang Theory, you may know that our beloved Sheldon Cooper just proposed to Amy. Co-incidentally, Jim Parsons, the actor who plays Sheldon got married days before the episode aired. 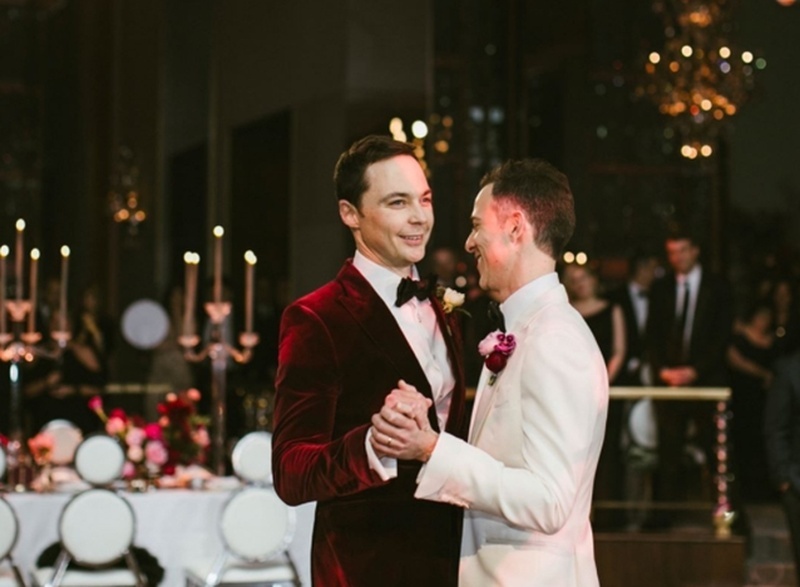 Jim married his long-standing boyfriend of 14 years, Todd Spiewak on 13th May 2017 and their wedding at Rainbow Room, NYC was beyond beautiful. He and Toby made a public appearance together for the first time in 2013 when LGBT young advocacy group GLSEN gave them the Inspiration Award. "I've never considered my relationship with Todd to be an act of activism.” he said. For the reception, the two changed into complimenting Tom Ford tuxes that had them looking incredibly dapper together. The 44 year old actor shared some of his favourite moments in his heartfelt captions on instagram. "She's our best friend, she was our wedding planner, she was our officiant and she played all three parts brilliantly this past Saturday: thank you and love you, @melissamcneeley (that Chuppah ain't bad, either, @doan_ly! ),"
We wish this beautiful couple a wonderful life together.